Janiszew Prison Camp, by Esther Krinitz. Today, a look at two museums in Baltimore with current exhibits that put a spotlight on individuals who are linked by their love of working with fabric, and the horrors of the Holocaust. Rebecca Hoffberger is the founder, director and principal curator of the American Visionary Art Museum. The AVAM exhibition “Esther and The Dream of One Loving Human Family” features the embroidery and fabric collages of Esther Kinitz. Marvin Pinkert is the Executive Director and CEO of the Jewish Museum of Maryland. 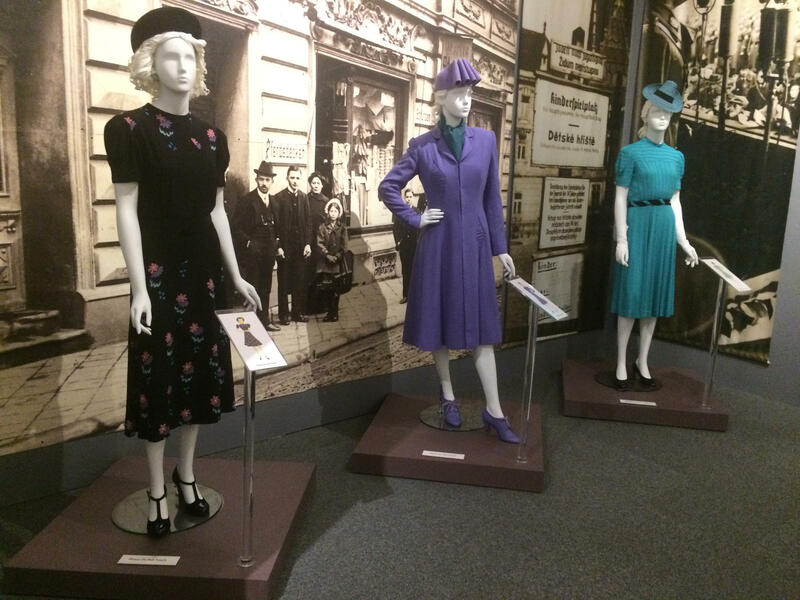 The Jewish Museum’s current exhibition is called “Stitching History from the Holocaust,” which features fashion design by Hedy Strad, a Czech Jew who perished in the Holocaust, the World War 2-era genocide of millions of European Jews by Nazi Germany. 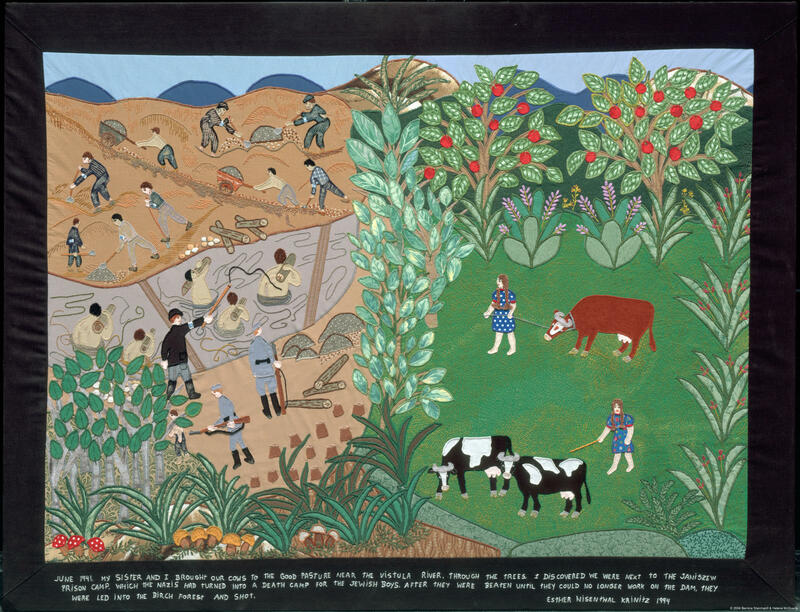 From the exhibit "Stitching History From the Holocaust," at the Jewish Museum of Maryland. A companion exhibit, "Fashion Statement," is also on view.